What type of maintenance does a vintage pen need? Flush the pen with cool water each time you empty it. Keep hard rubbers and celluloids out of direct sunlight and high heat as this could damage the material. Do not soak your pens in water. Expect that your sac will need replacing when it deteriorates. Do not leave your pens inked for extended periods if they won’t be used – try to keep them clean, empty, and properly stored when not in use. 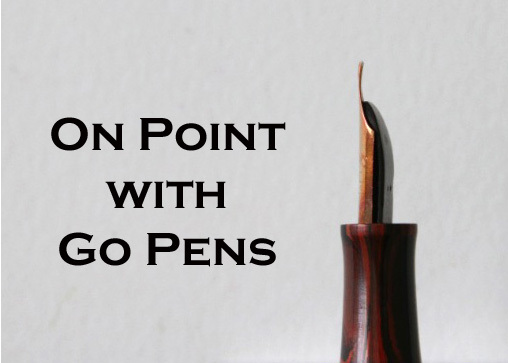 Choose your inks carefully – highly pigmented/saturated inks may be more difficult to clean out of a vintage pen (as you cannot access the sac as easily). Try not to drop your pen; the nib and bodies can be fragile. Don’t forget your pen is meant to be enjoyed, unless you’re collecting them carefully! Treat it with care and it should serve you for many years to come.